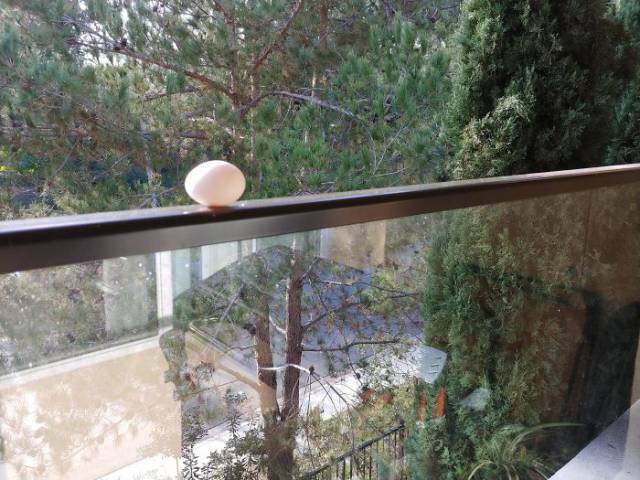 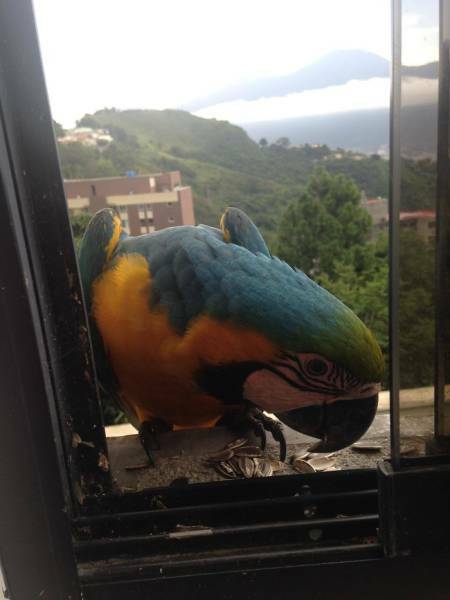 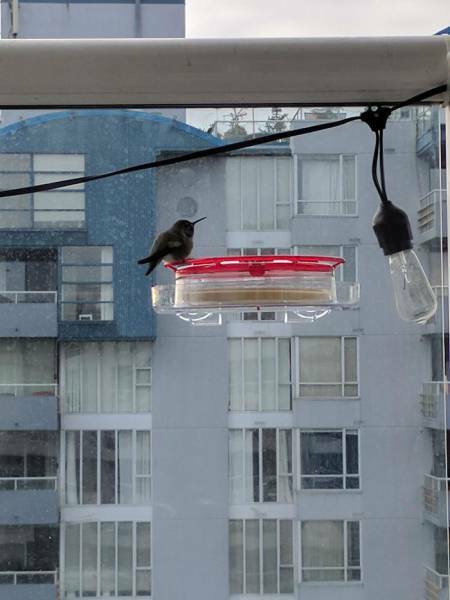 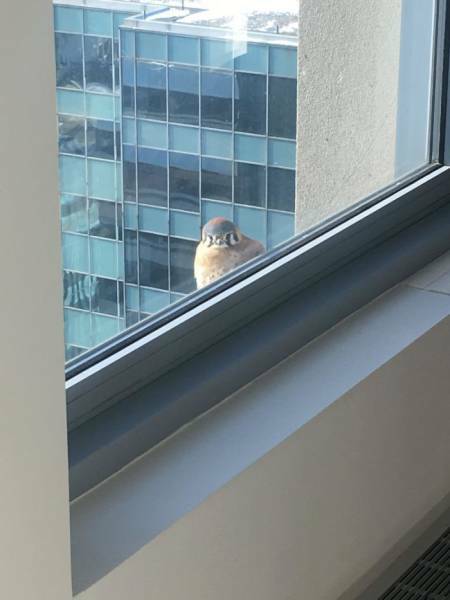 There’s nothing more surprising and adorable than a cute bird tapping at your window from outside. 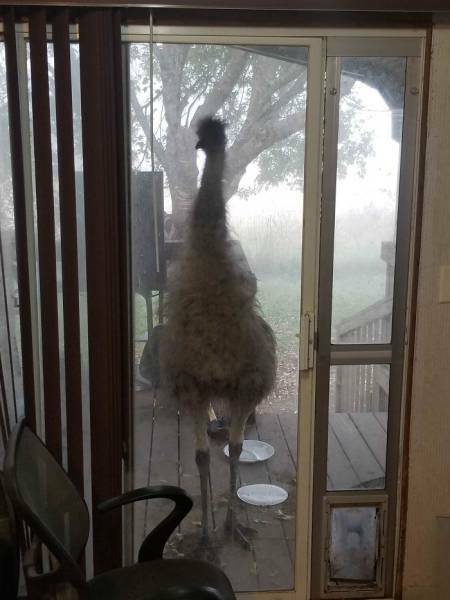 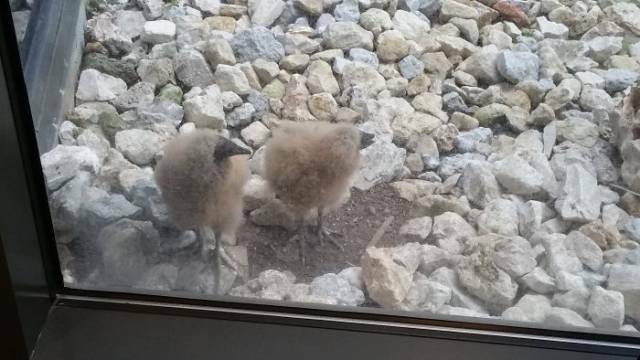 But some of these feathered guys are not really small and cute. 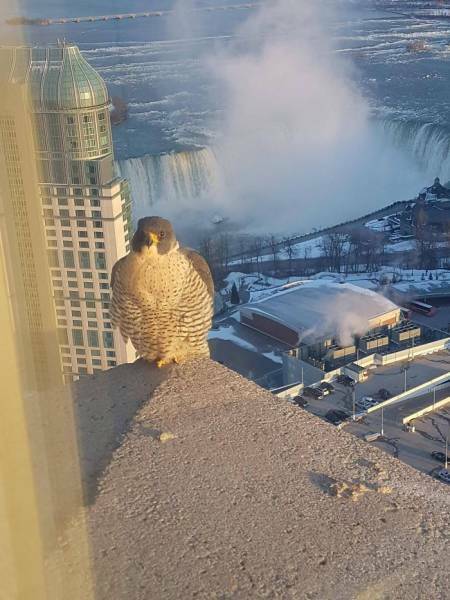 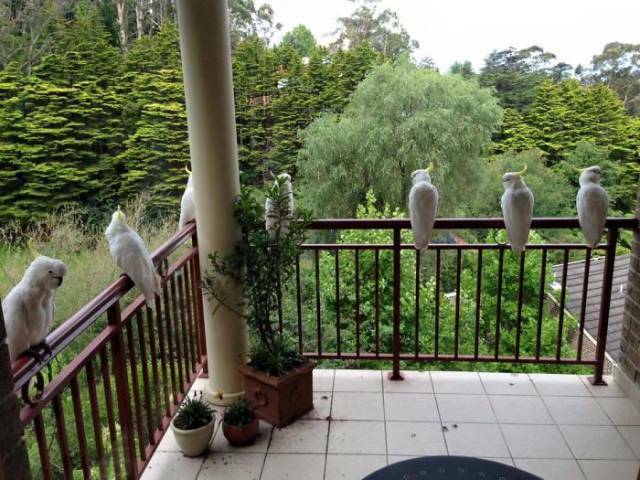 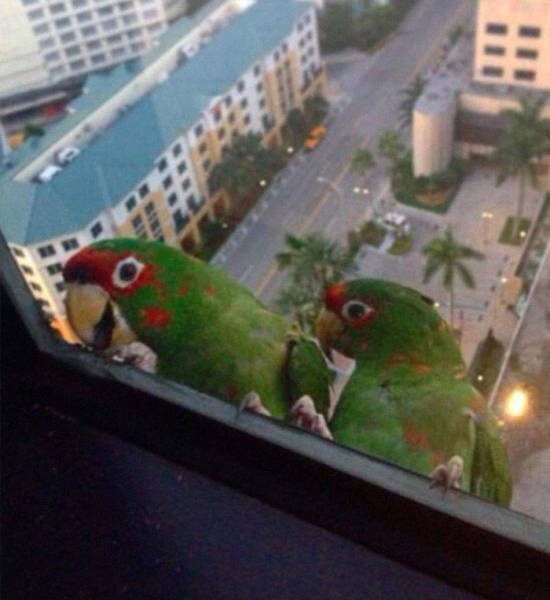 I See Your High Rise Birds! 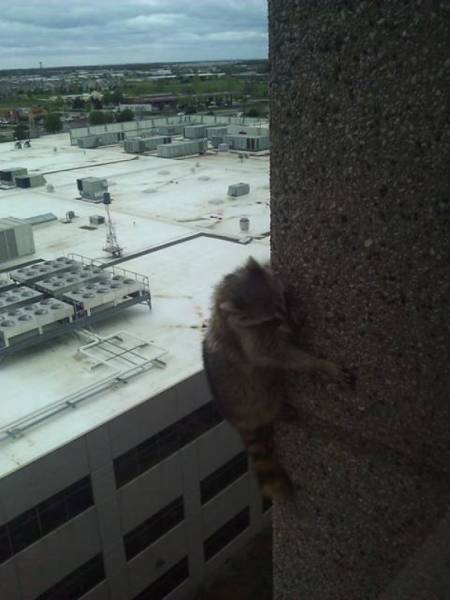 I Raise You A High Rise Racoon! 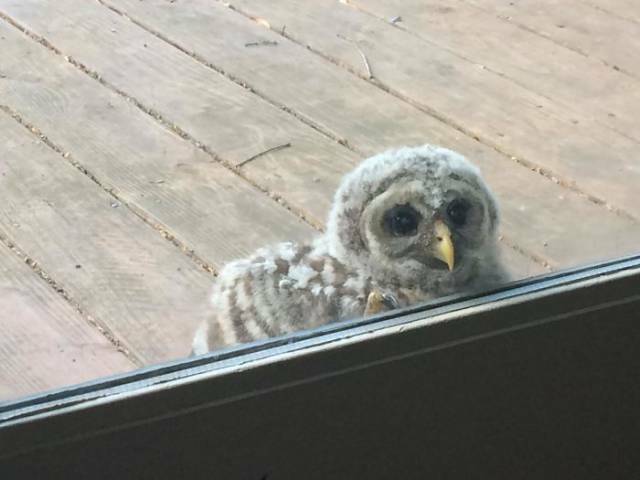 A Baby Feathered Visitor Says Hello! 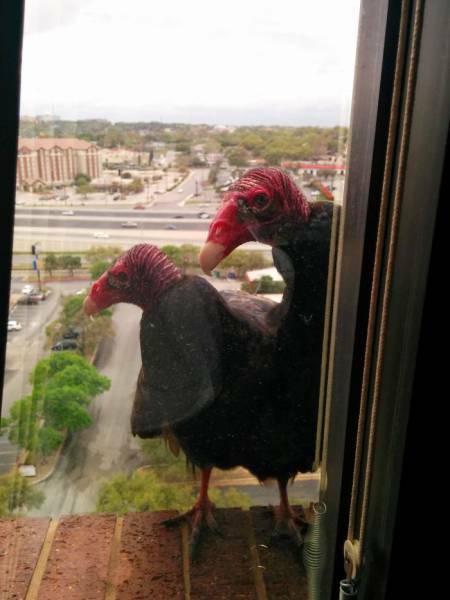 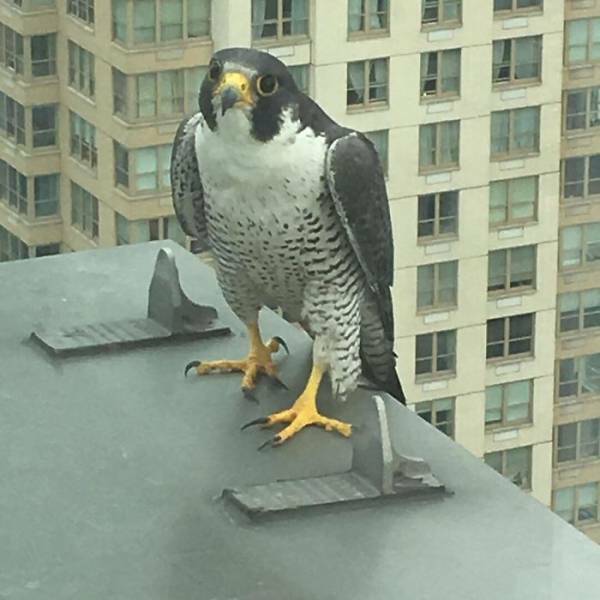 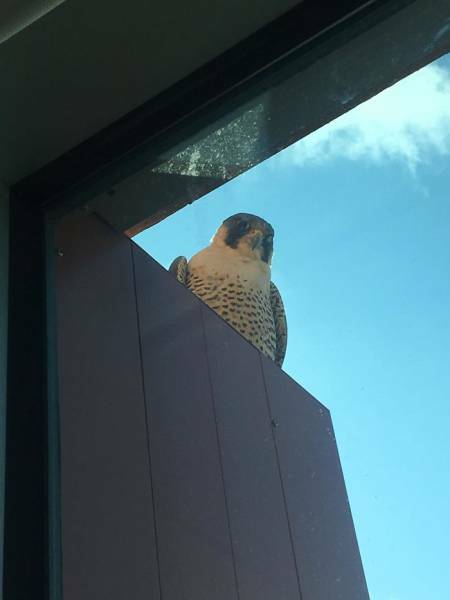 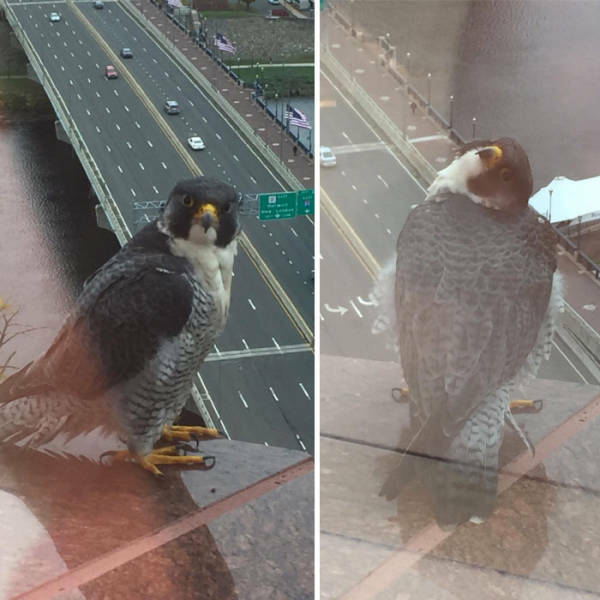 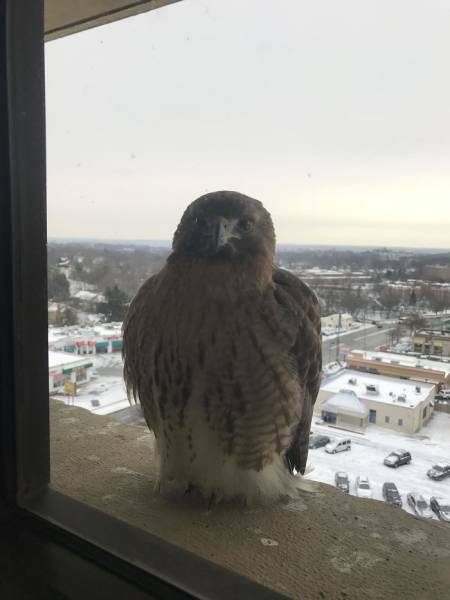 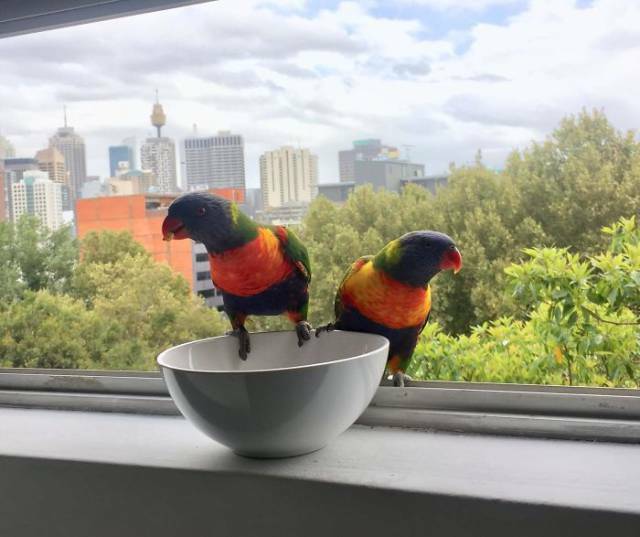 I Don't Have Office Hawks. 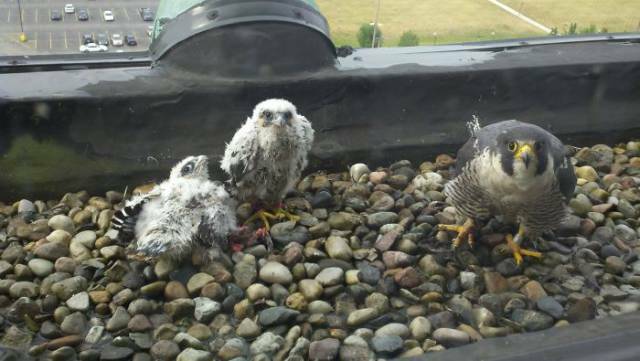 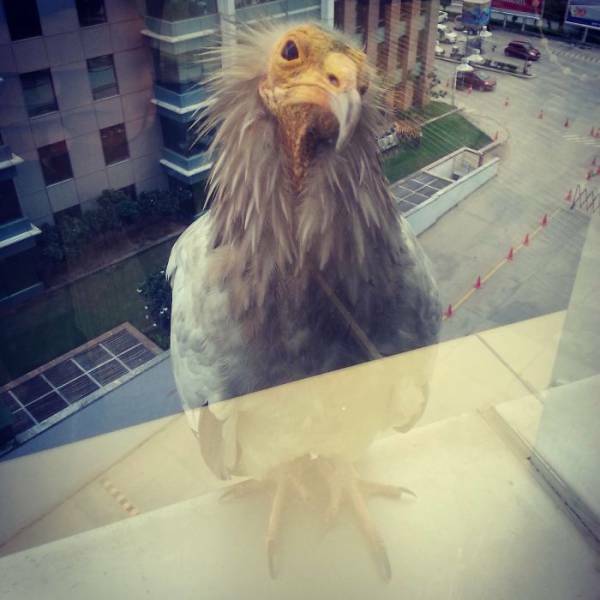 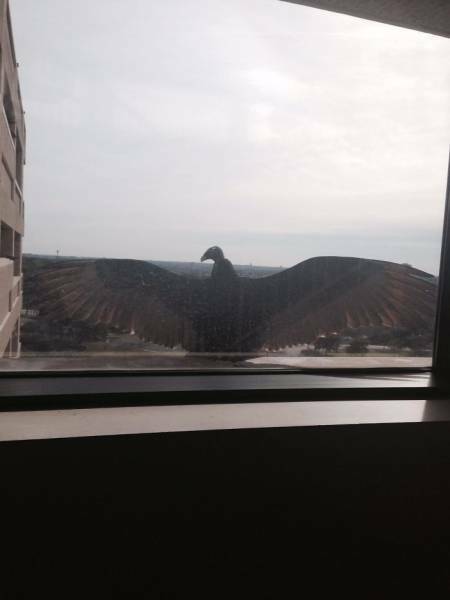 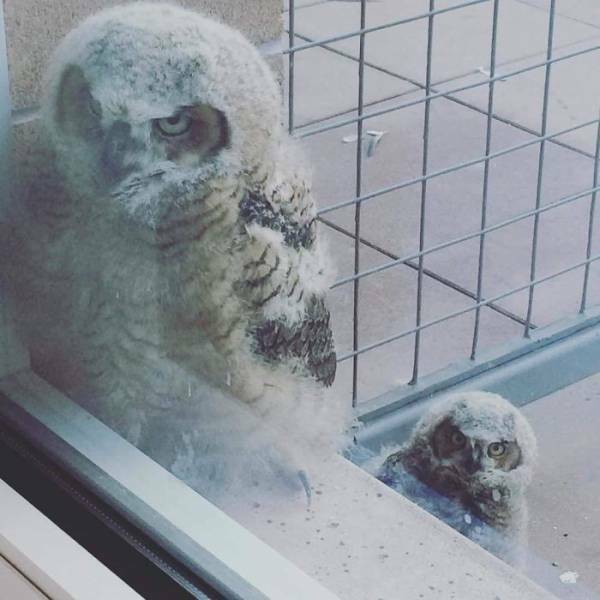 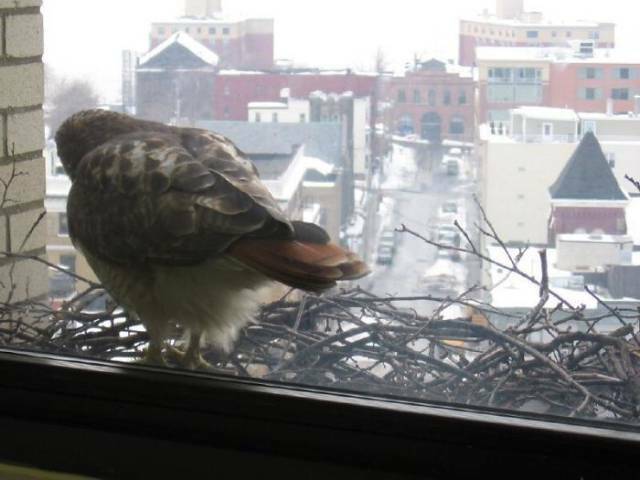 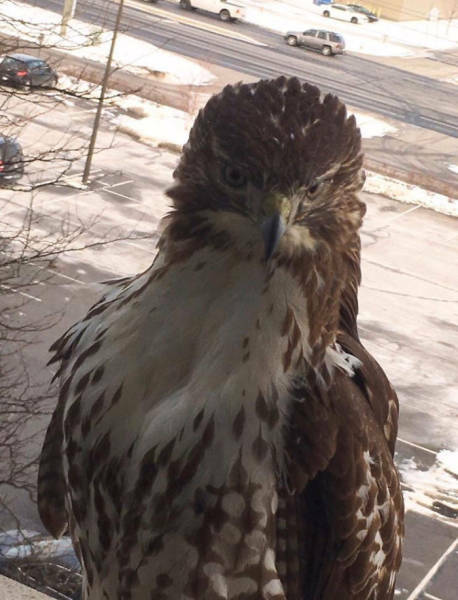 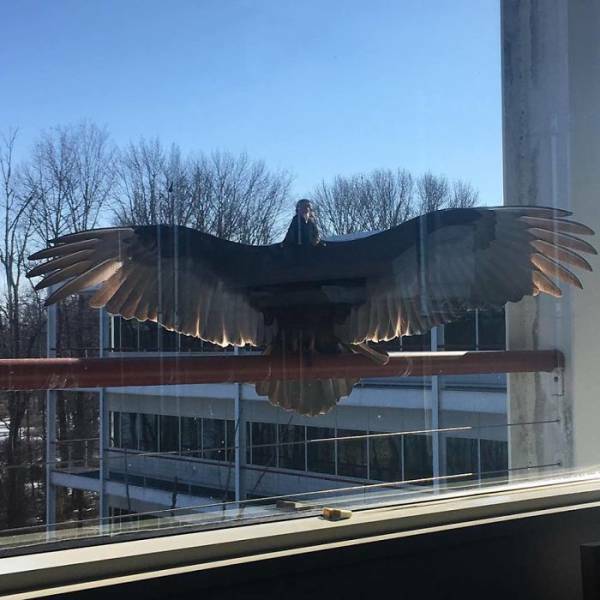 But What About Baby Office Buzzards? 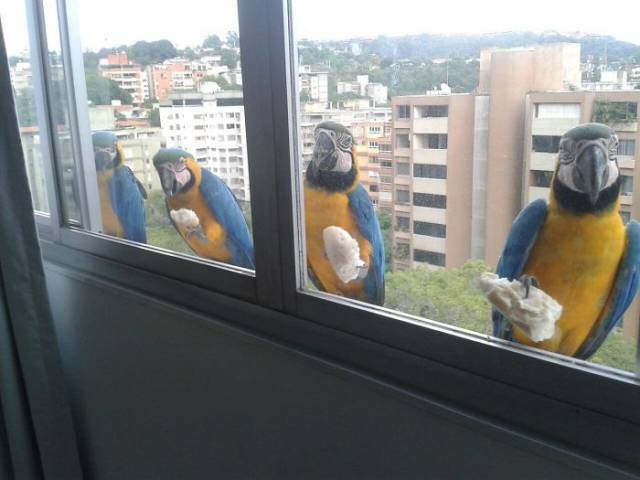 Can We Do Those? 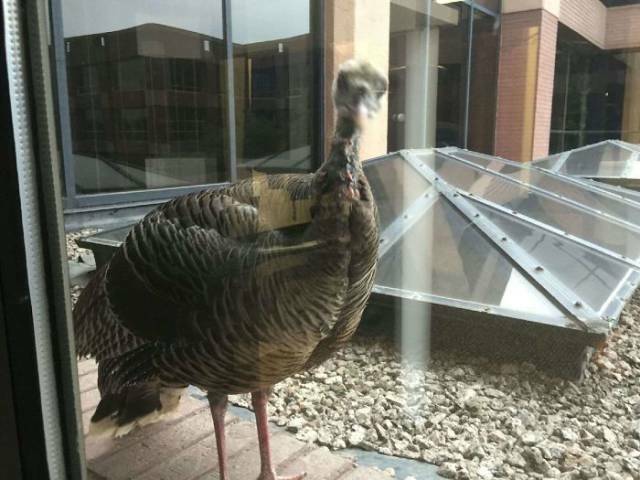 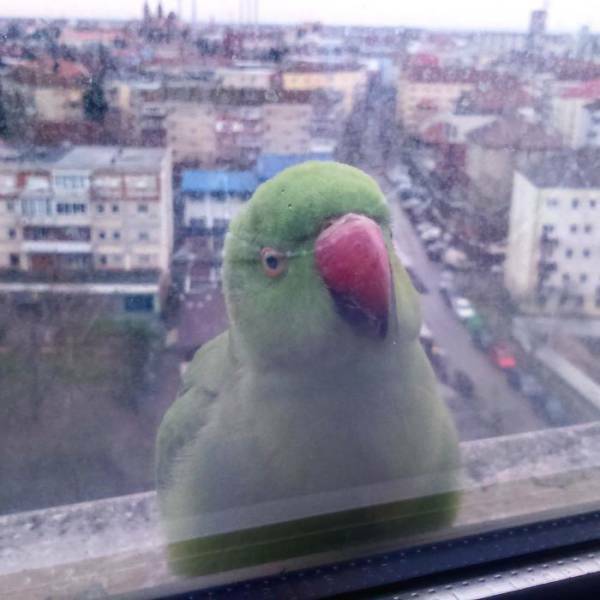 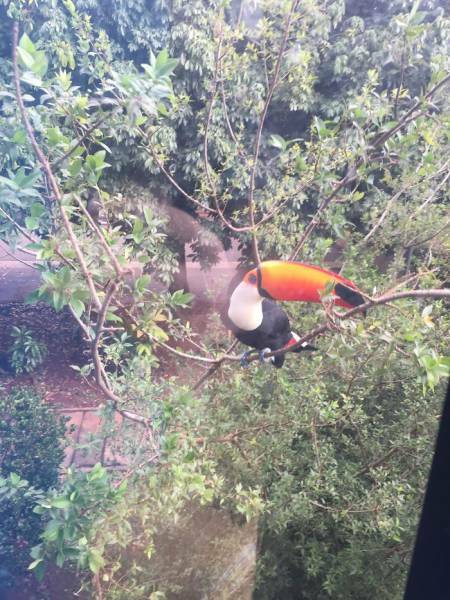 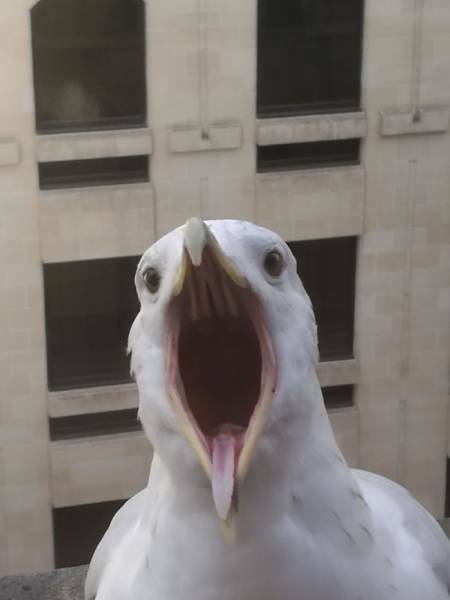 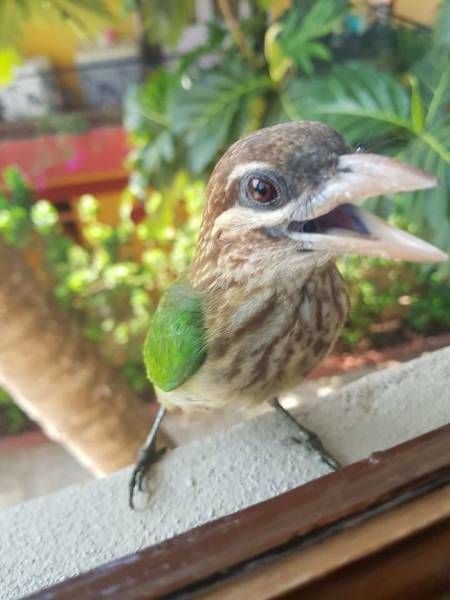 I've Also Got A Bird Friend Who Comes To My Office Window - Today Sid Stuck His Tongue Out At Me!